Here at BIM Engine by ARCHICAD, we like sharing our favorite blogs with readers, and we LOVE sharing blogs that absolutely LOVE ARCHICAD. So that’s why we are very pleased to introduce our BIM Engine by ARCHICAD readers to a blog called BIM6x. BIM6x is new to our blogroll, because it is relatively new to the “blogosphere” – it is a very welcome addition at that. 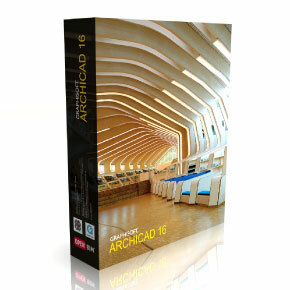 The very thorough and thoughtful BIM6x blog discusses all things ARCHICAD & BIM. The blog post authors bring an impressive resume of experience with ARCHICAD to the table – so you can always expect to come away with a new insight or trick that will help ARCHICAD users get the very most out of the software “from the get-go”. As an authorized GRAPHISOFT re-seller of ARCHICAD in the Idaho, Montana, Wyoming, North Dakota, South Dakota, Colorado, Utah and Nevada the blog provides in-depth coverage of the inner-workings of ARCHICAD with a built-in expertise you know you can trust. The team at BIM6x takes ARCHICAD, BIM and their mission of pushing the software to the limit to help users build better very seriously – but they have not forgotten the importance of a good sense of humor. Check out their “Meet Us” clip here. Chris and Link and their fun-loving sidekick Boris love what they do, both in using and supporting the use of ARCHICAD. We’re fans of this blog because the team behind the BIM6x blog is passionate about ARCHICAD, and helping its users to create buildings in a better way. Take a moment to visit BIM6x – you’ll be glad you did!